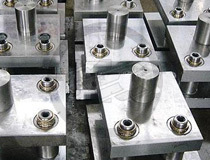 We manufacture metal parts via hydraulic presses, CNC piercing, mills and lathes, laser and waterjet cutting. 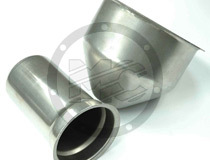 Prototypes, short and large series can be quoted. Matrix built to your design. Any surface treatment can be added to the production process, thermal, galvanic, blasting, enamelling, etc. 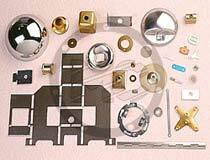 We specialize in the manufacture of metal parts for the lighting industry as well as other mayor industries such as bath accessories, plumbing accessories and others. 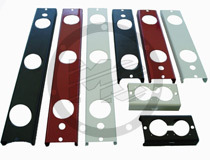 We have a large stock of matrix for the production of these parts.